Bloomberg, the global business and financial information and news leader, gives influential decision makers a critical edge by connecting them to a dynamic network of information, people and ideas. The company’s strength – delivering data, news and analytics through innovative technology, quickly and accurately – is at the core of the Bloomberg Professional service, which provides real time financial information to more than 319,000 subscribers globally. Bloomberg’s enterprise solutions build on the company’s core strength, leveraging technology to allow customers to access, integrate, distribute and manage data and information across organizations more efficiently and effectively. Class Editori is a publishing house leader in business and financial news, fashion, luxury and lifestyle information in Italy. Founded in 1986 by Paolo Panerai, it has developed over the years exploiting the opportunities offered by technology, to become a multimedia group providing news and contents across all media and tlc platforms. The group's portfolio encompasses daily newspapers, as MF/Milano Finanza, ItaliaOggi and MF Fashion, magazines in Italian language (Capital, Class, Gentleman, Ladies, Patrimoni, MFF, MFL) and in English (Global Finance, Lombard) and real time information with the newswire MF-DowJonesNews, a joint venture with Dow Jones & Co. Class Editori has a unique positioning in Italy for tv channels, with a television bouquet which includes Class CNBC (in partnership with Nbc Universal and Mediaset), Class TV Msnbc (in partnership with Msnbc and The Weather Channel), ClassHorseTV, ClassTV Moda and Class Life. Class Editori tv system is completed by its Out of Home TV network, the leading one in Italy, with four different channels with screens positioned in key locations in the main Italian airports. With its Web portals www.milanofinanza.it, www.italiaoggi.it, www.classmeteo.it (in exclusive partnership for Italy with The Weather Channel), with newspapers and ClassHorseTV applications for smartphones and tablets, and with the apps integrated in major smat tv brands (Philips, Samsung, LG) Class Editori provides business and financial news as well as precise weather information and forecasts to private investors, companies and professionals. Through MF Pro and on-line platforms MF Trading and MF Web, real time services (data plus news) are offered to the market. These services have been adopted by many leading Italian banks for their customers. Interactive Data Corporation is a trusted leader in financial information. Thousands of financial institutions and active traders, as well as hundreds of software and service providers, subscribe to our fixed income evaluations, reference data, real-time market data, trading infrastructure services, fixed income analytics, desktop solutions and web-based solutions. Interactive Data's offerings support clients around the world with mission-critical functions, including portfolio valuation, regulatory compliance, risk management, electronic trading and wealth management. Interactive Data has over 2,500 employees in offices worldwide. For more information, please visit www.interactivedata.com. SIX Financial Information is a leading global provider of first-rate data services and solutions for financial and insurance firms, corporations and the media. Its financial information comprises reference data, corporate actions, pricing and market data for over 10 million instruments and is unique in terms of information depth, breadth and structure. With 24 international offices SIX Financial Information combines the advantages of local presence with global reach to offer a comprehensive data portfolio along with industry knowledge for professionals specialized in investment advisory, portfolio management, financial analysis and securities administration. 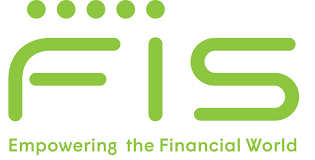 FIS™ is the world's largest global provider dedicated to financial technology solutions. FIS empowers the financial world with software, services, consulting and outsourcing solutions focused on retail and institutional banking, payments, asset and wealth management, risk and compliance, trade enablement, transaction processing and record-keeping. Headquartered in Jacksonville, Florida, FIS serves more than 20,000 clients in over 130 countries, and our technology powers billions of transactions annually that move over $9 trillion around the globe. FIS is a Fortune 500 company and is a member of Standard & Poor’s 500® Index. FIS's solutions for capital markets help banks, broker-dealers, futures commission merchants and other financial institutions improve the efficiency, transparency and control of their trading and processing. From market connectivity, trade execution and securities financing to accounting, data management and tax reporting, our solutions provide cross-asset support for the entire trade lifecycle. We help our customers increase efficiency, make more informed decisions, improve their use of capital and manage risk more effectively. Thomson Reuters is the leading source of intelligent information for the world’s businesses and professionals, providing customers with competitive advantage and serving four primary customer groups: Financial & Risk, Legal, Tax & Accounting, IP & Science. Thomson Reuters has a leading market position, with well recognized and respected brands in each of its principal markets. Intelligent information is a unique synthesis of human intelligence, industry expertise and innovative technology that provides decision-makers with the knowledge to act, enabling them to make better decisions faster. Through approximately 60,000 employees across more than 100 countries, Thomson Reuters delivers this must-have insight to the financial and risk, legal, tax and accounting, intellectual property and science and media markets, powered by the world’s most trusted news organization. Thomson Reuters shares are listed on the Toronto Stock Exchange and New York Stock Exchange (symbol: TRI) and its headquarters are located at 3 Times Square, New York. The vwd group offers customized information, marketing and technology solutions for the securities business. It specializes in individualized customer solutions in the areas of asset management, retail banking, private banking and wealth management, and has evolved into one of the leading European providers in this area. It provides innovative solutions for financial services providers, companies, media operations and private clients. With about 465 employees at locations in Germany, Belgium, France, Italy, the Netherlands and Switzerland, the vwd group is an internationally active collection of companies with strong roots in the local financial markets.